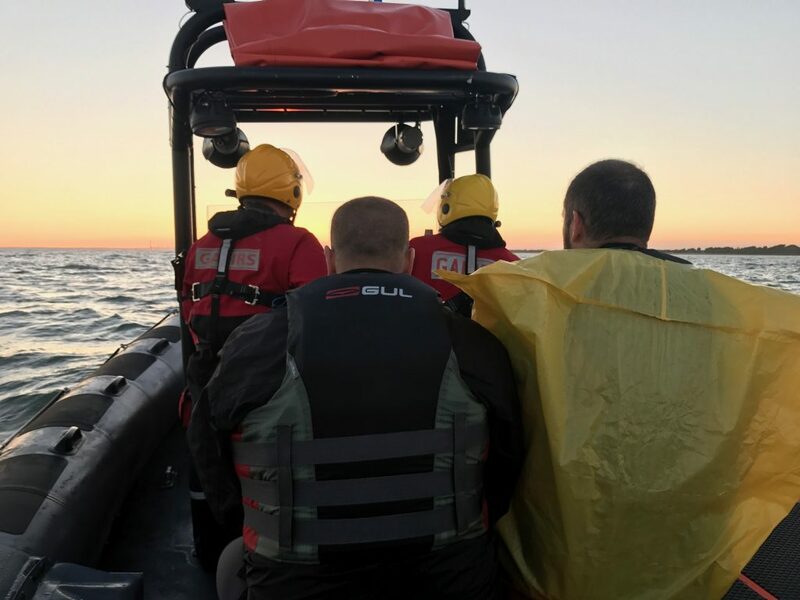 Two jet skiers dangerously drifting in The Solent on Thursday evening were assisted by volunteer rescue crews. 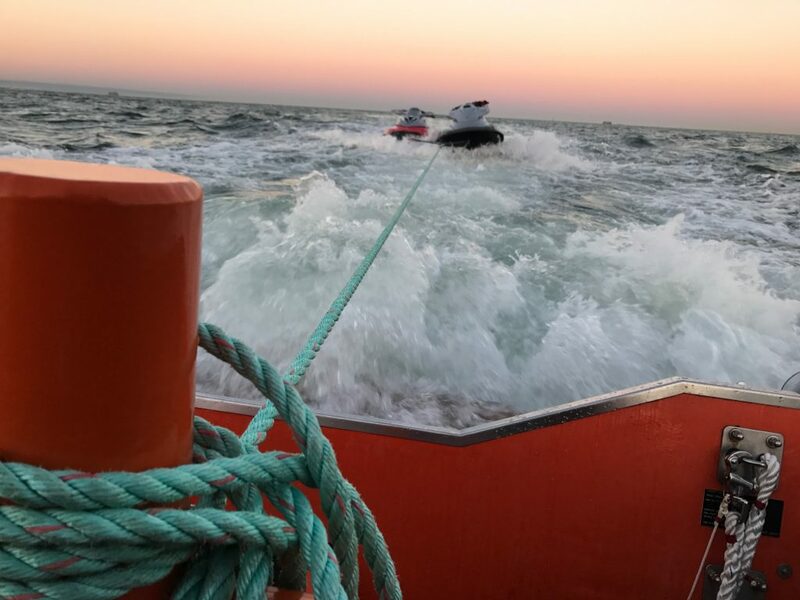 Gosport & Fareham Inshore Rescue Service (GAFIRS) was launched by UK Coastguard to assist the jet skis which had been struck with engine failure one after the other. The jet skiers were reported to be drifting around a mile south of Gosport Lifeboat Station, Stokes Bay, when GAFIRS independent lifeboat was launched at 2013. 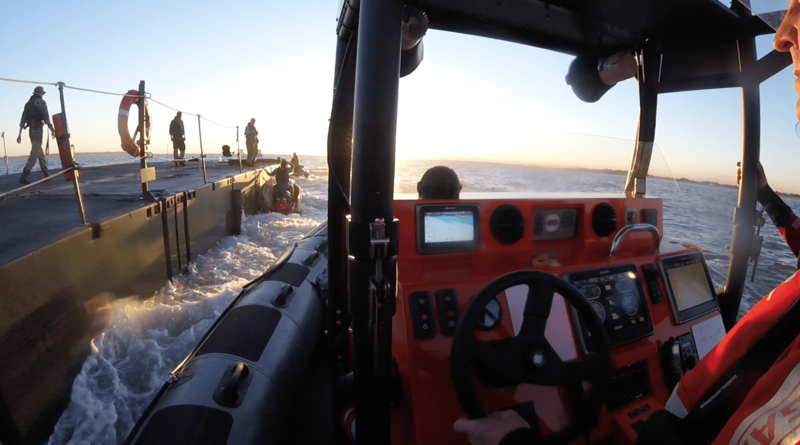 Rescuers soon located them alongside a military landing vessel, which had towed them out of trouble. 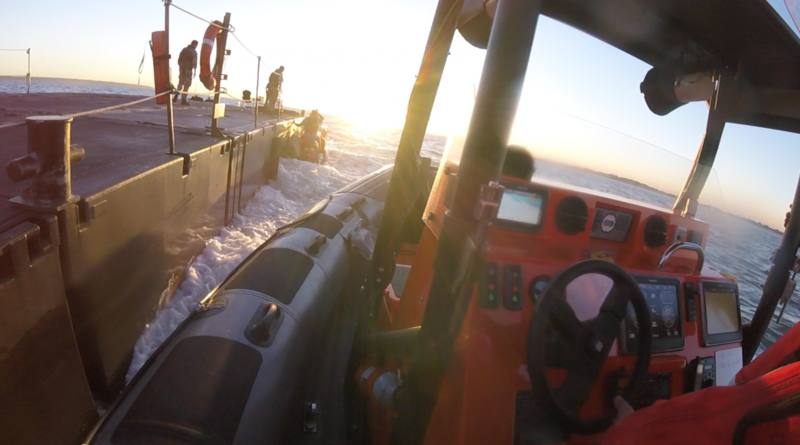 GAFIRS senior coxswain Brian Pack said: ‘We took over the tow from the military vessel so they could get on with their job and placed the two jet skiers on board the lifeboat. One was starting to feel particularly cold as the sun was beginning to set so we helped warm him up. In total the operation lasted three hours and was the 33rd incident of the year for GAFIRS. The service is completely independent of the RNLI and relies on public donations to keep it afloat.